One of the most popular muscle cars has to be the Pontiac GTO. It was certainly popular with Craig and Mickey Miller, who were itching to get their hands on one. They found one and inquired about purchasing it. Unfortunately the owner, who was the 6th person to own this GTO, said he was not interested as he knew that one day he would restore it. Well, fast forward 25 years, and the man had been so focused on other projects throughout the years that he had never touched the car. So he called Craig and told him that he could have it for free. You can only imagine Craig’s reaction when he got that call! Craig began the ’65 GTO project in October of 2008. There were so many things that he wanted to do, but finding the previous owners became task #1 after finding an old parking ticket in the glove compartment. After many phone calls and emails, he was able to find not only the original owner, but the ones in between the original and most previous owners. Over the years, they have remained in contact and have become good friends. One of them even got married in the GTO! It’s amazing how a 50 year old vehicle can bring people together. Back to the restoration. After all of the searching he had done over the years, Craig was determined to make his GTO one of a kind. 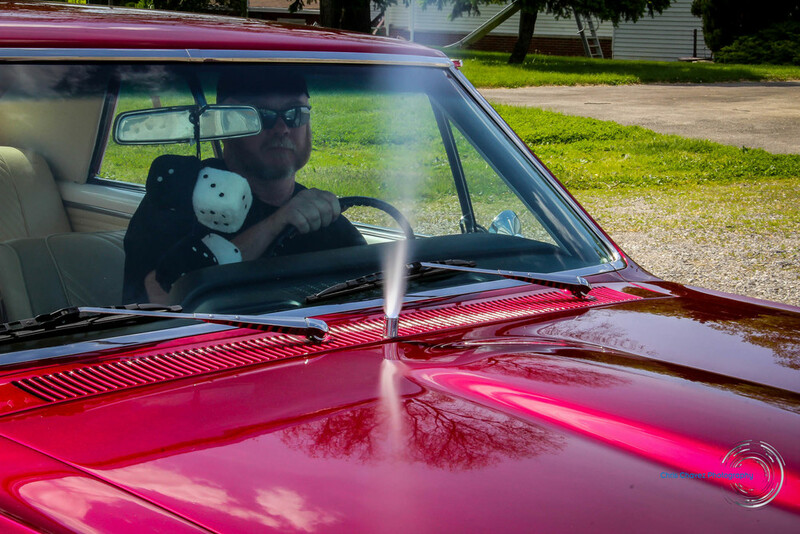 He partnered with Al’s Body Shop, Bill Dwyer Body Shop, and Hot Rod Auto to work on the exterior of the GTO. There was a good amount of rust as well as bumps and bruises from being raced, used in wedding processionals, and everyday driving. Many parts were fixed or replaced as a result, including the quarter panels, inner & outer wheel tubs, trunk cross members, trunk panels, driver side floor plan and the entire passenger door. Once the body was fixed, it was time to give it some color. The guys over at Hot Rod & Auto took over and painted it with a House of Kolor paint called Kandy Brandy Wine red. This color is so rich and beautiful; the pictures don’t do it justice. It’s a must see in person, and if you want the same color, you’ll have to negotiate with Craig…he bought it all. One of a kind GTO, remember? After the exterior was complete, Craig turned his focus to the interior. Dave over at D & E Upholstery did a complete makeover, replacing everything that he could. 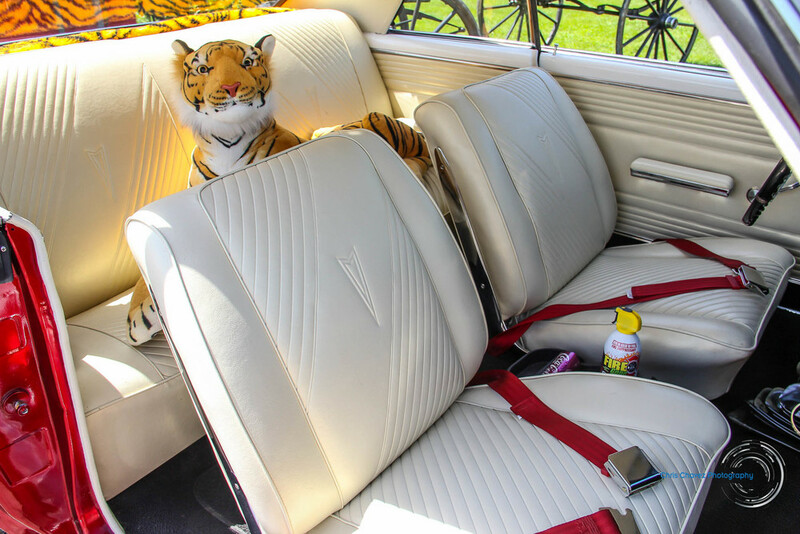 The GTO received new seat covers, head liner, floor carpet, Juke tray, said panels, arm rests, and trunk liner. He also added an autometer tach where the clock used to be, giving the interior a cool, sleek look. Now for the good stuff…under the hood. The GTO has a 455 engine built by A-Team. Craig was secretive with the horsepower, but by the looks of it, this car has plenty of power to move quickly. The engine may look like a bit of a sleeper, but Craig had several aftermarket parts added including a competition valve job, Edelbrock worker, comp cam, and many others. 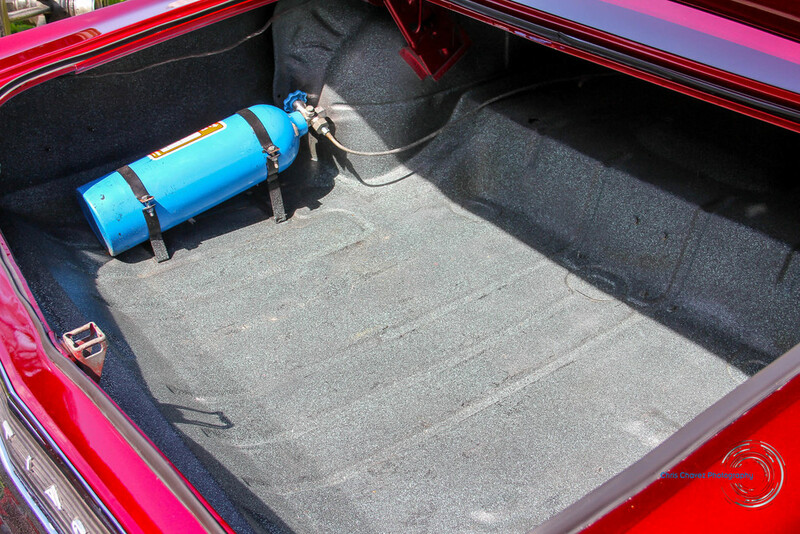 As an added kick, it also has a nitrous kit installed. To keep all of that power on the road, Craig outfitted the GTO with 70 Cragar wheels, wrapped with BF Goodrich tires. This GTO truly has a great story behind it…so much so that I told Craig he should write a book about it. If you see it at a car show, be sure to get up close and listen to one of the many stories he has to share. The most paramount thing is the bond that has been formed between him and the rest of the owners. All of them arrived while I was doing the shoot, including the couple that were married in the car. I could definitely feel the mutual admiration they all had for each other, and how happy the car has made each of them over the last 50 years. Thank you all for allowing me to capture the story and this beautiful 1965 Pontiac GTO.